The earnings beat market expectations and came with an announcement that Amazon is raising the annual Prime subscription rate in the US to $119 from $99, effective next month. Prime has been a strong driver of Amazon revenue, but it has also heaped on costs as the company invests in logistics for deliveries and online content including original television shows, according to executives. Amazon said it earned $1.6 billion in the first three months of this year on revenue that soared to $51 billion from $36 billion in the same period last year. Amazon shares climbed more than seven percent to $1,626 in after-hours trades that followed release of the earnings figures. 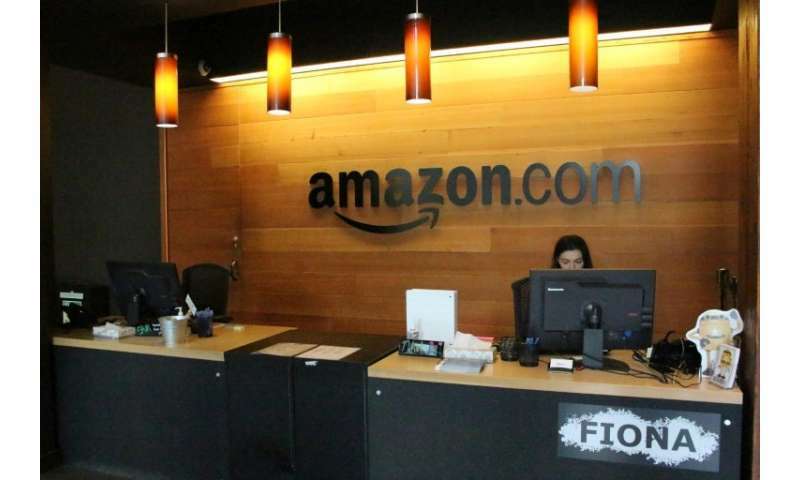 The Seattle-based firm spotlighted the juggernaut growth of its Amazon Web Services (AWS) division, which hosts services and content that companies use in the internet cloud. AWS leads big-name rivals Microsoft and Google in the market that has boomed with the lifestyle shift to accessing movies, music, games and more from online devices. 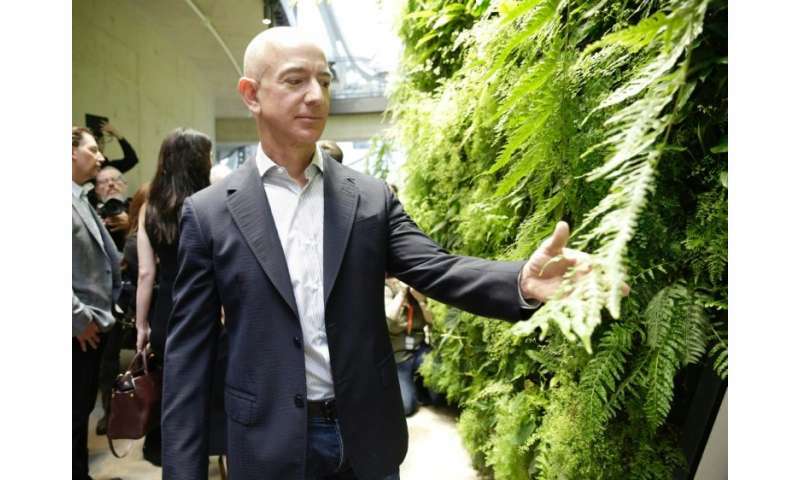 "AWS had the unusual advantage of a seven-year head start before facing like-minded competition, and the team has never slowed down," Amazon founder and chief Jeff Bezos said in the first quarter earnings release. "That's why you're seeing this remarkable acceleration in AWS growth, now for two quarters in a row." Amazon has also been investing aggressively in artificial intelligence to bolster its cloud services platform, with features like automated language translations, and building Alexa digital assistant software into cars, smart speakers and more. Amazon also this week introduced a "Free Time" version of Alexa that includes an Echo speaker for children. This offers parental controls and family-friendly features including filtering out foul-mouthed songs, education answers, encouragement to use the word "please," and blocked ability to buy things with voice commands. Amazon introduced an Echo Dot Kids Edition for $70 that comes with an unlimited family plan for a period. Amazon reported sales from its online stores in the first quarter rose 18 percent from the same period a year ago to $26.94 billion. Amazon has found success with its own streaming music and movie services, one of the perks of its Amazon Prime, which the company says now has 100 million members. Streaming television is included in an Amazon Prime subscription service that also offers free, fast delivery of products purchased at the online retail powerhouse. Amazon has been broadening its business by moving into new sectors, notably with the acquisition of the Whole Foods grocery chain. The research firm eMarketer said online commerce represents about 60 percent of Amazon's business but that it also will generate $3.37 billion in global advertising this year. Digital advertising has become a "multi-billion-dollar" part of Amazon's business and is growing quickly, according to executives. Amazon has been making gains in online advertising, evidently at the expense of market titans Facebook and Google, according to industry trackers. Amazon's success has made Bezos the world's richest individual, worth more than $100 billion. The company has been a frequent target of President Donald Trump, who has argued that the tech giant gets a sweetheart deal from the US Postal service, a claim which is disputed by many analysts. Separately Thursday, the US National Football League announced that it is renewing a partnership with Amazon Prime Video to deliver a live streams of Thursday night football games. Streamed games will be available to the more than 100 million Amazon Prime members worldwide in over 200 countries and territories, according to the NFL. "We are excited to work with them again for the next two seasons," NFL chief media and business officer Brian Rolapp said in a release.